Virtually all the rooms are double rooms, also available for single use, and offer standard 4-star hotel facilities. 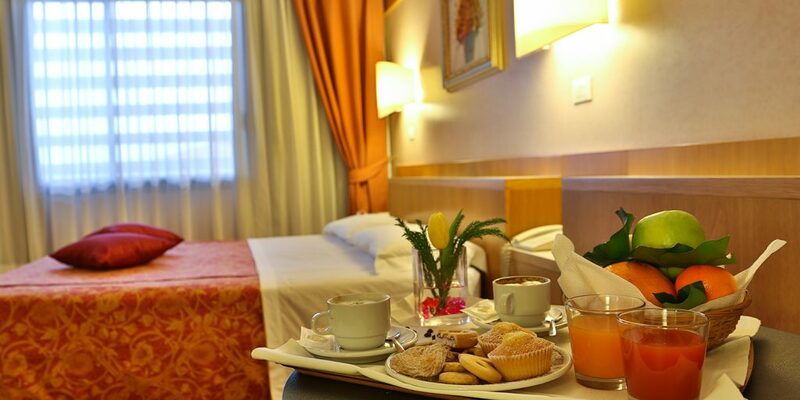 The hotel has 66 rooms, accommodating 126 people, available as Comfort Rooms and Superior Rooms. Non-smoking rooms. Room service available. Room facilities: 10-channel satellite TV, radio, minibar, independent air conditioning and heating, en-suite bathroom, bathtub only, hairdryer, heated towel rail.